St. Paul Apartments located at 4909-55th Ave and the Desjardins Apartments located at 4921-55th Ave. These 2 buildings are the largest in St. Paul, housing 40 suites apiece. 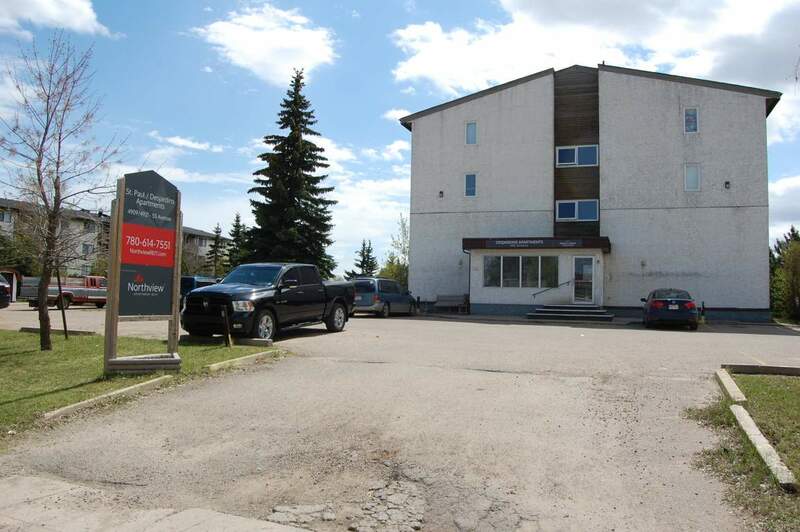 These 2 buildings are both walk ups that consist of very spacious 1, 2 and 3 bedroom apartments that are ideal for families, young couples, workers, seniors and single folks alike. The bottom floor apartments are all walk outs with accessibility ideal for seniors and those with small dogs. This community is centrally located being close to churches, parks, bingo, restaurants and the fair grounds. We have staff on site staff and a 24 hour emergency number should anything go awry.